Shooting from an undisclosed location, this video offers fans a sneak preview of Tech N9ne’s brand new music video for “Who Do I Catch” from Welcome To Strangeland. 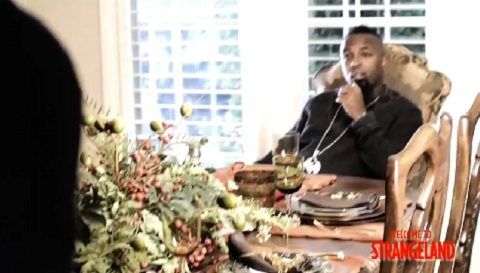 Cameras follow Tech N9ne as the top secret shoot takes place inside a luxurious home. Director Dan Gedman and Strange Music CEO Travis O’Guin both make cameos, but keep the video’s premise under wraps. Just who will Tech N9ne catch inside Strangeland? Click here to pre-order Welcome To Strangeland.